The alignment and characteristics reveal a shrewd defence strategy which represented a new way of fighting, and the implementation of a violent and class-based power structure which conditioned the development of other communities in the Iberian Peninsula during the following seven centuries. EMAS Field Trip to Farnham Castle, etc. As drought depleted Poland's Vistula River (map), tons of looted 17th-century marble artifacts—including this stonework pictured against a power plant—surfaced this month. The revelation helps solve a centuries-old mystery and crowns one archaeologist's three-year quest for Warsaw's lost royal treasures. The sculpted fountains, columns, and other marbles on the muddy bottom of the Vistula—now at its lowest level since record keeping began in the late 1700s—once decorated Warsaw's Royal Castle, Kazimierz Palace, and other haunts of Polish nobility. Stolen during the a multiyear conflict known as the Swedish Deluge, the treasures were lost when a getaway barge sank while setting out for Sweden. "So far we have found more than 12 tons of original, 17th-century marbles," said Hubert Kowalski, the University of Warsaw archaeologist leading the search. "They are in very good shape, considering 350 years in the river." 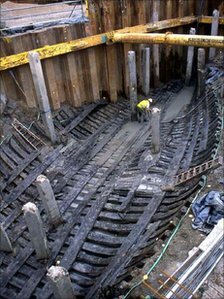 SCIENTISTS and archaeologists from Wales and Spain could soon be working more closely thanks to “a major new finding” about the origins of the Newport Ship. Hull timbers from the 15th century medieval vessel, found at the building site for the Riverfront Theatre in Newport ten years ago, have recently been matched to the Basque Country in northern Spain, renowned for its medieval ship-building industry. As we reported last week, scientists from the University of Wales Trinity Saint David, and the Arkeolan Foundation, based in the Basque town of Irun, collaborated to date the wood. 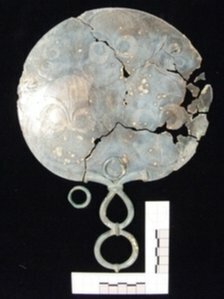 The copper-alloy mirror is similar to the Portesham Mirror - already part of the museum's collection - which was acquired in 1994. Fewer than 30 of its type have been discovered in the UK. The Mongol empire in the 13th century conquered great swaths of Asia, the Middle East and even parts of Europe at staggering speed, but how did Genghis Khan and his armies manage to conquer so much and so fast? The answer may lie in some ancient dead trees found recently in an old volcanic lava flow in Mongolia. The trees were so well preserved that their annual growth rings were still visible and gave an astonishing insight into the climate of the 1200s. The wood rings were spaced wide apart showing that the trees grew well, thanks to plenty of rain. And because the trees did well, the chances are that the grasslands of the vast Mongolian plains also grew lush in the wet climate. 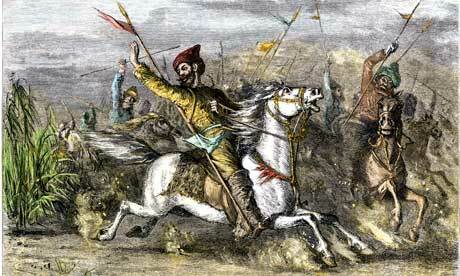 Those rich grasslands would have fuelled the Mongol armies, giving plenty of grazing land for the thousands of horses that the troops relied on, and livestock to feed the soldiers. But the tree rings also showed a sudden lurch into much colder, drier conditions around 1258, when the trees hardly grew. This was around the time the Mongol empire began to fall apart and the Mongols moved their capital into what is now Beijing. It was part of a global climate event, and a recent archaeological dig in London revealed that a catastrophic famine struck England at the same time, leading to thousands of deaths. The downturn in climate was caused by a massive volcanic eruption that blanketed the globe in ash and cut down sunlight across the world. Conservation staff at Westminster Abbey clean the Cosmati pavement surrounding the tomb of Edward the Confessor and asses it for conservation on Sept. 24 in London, England. The highly decorative stone pavement is formed of small precious stones such as onyx and porphyry on a base of dark limestone, known as Purbeck marble. A shrine was erected in 1163 following the Confessor's canonisation and St Edward's body was brought in on October 13, 1269 to its new resting place. The Cosmati pavement provides the flooring around Edward the Confessor's tomb behind the High Altar of Westminster Abbey where the Duke and Duchess of Cambridge signed their marriage register. 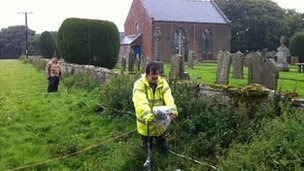 Archaeologists say an innovative aerial laser survey has uncovered new clues to the history of a Pembrokeshire island. Skokholm, best known for its colony of breeding seabirds, was known to have been settled in prehistoric times. The Royal Commission on the Ancient and Historical Monuments of Wales says a new laser survey from the air shows detail of Iron Age and medieval use. The research team involved now plans to visit the island to look for more evidence on the ground. In an international co-operation project, archaeologists from the Monrepos Archaeological Research Centre and Museum for the Evolution of Hominin Behaviour, part of the Römisch-Germanisches Zentralmuseum, (RGZM) and the Landesamt für Denkmalpflege and Archäologie in Saxony-Anhalt are excavating the 35,000 year old site of Breitenbach, close to Zeitz in Saxony-Anhalt. Other co-operation partners are the Faculty of Archaeology at the University of Leiden (NL), the Ludwig Boltzmann Institute of Archaeological Prospection and Virtual Archaeology (ArchPro) in Vienna, the Institute of Geoinformatics i3mainz of the University of Applied Sciences in Mainz as well as the Institutes of Geosciences at the universities of Mainz, Tübingen and Cologne. Massive Umweltzerstörungen und daraus entstehende Katastrophen für Mensch und Tier sind damit nicht nur ein Phänomen der Moderne. Forscher und 25 Studierende der Goethe-Universität unter Leitung des Archäologen Prof. Rüdiger Krause können dank wegweisender Funde im Montafon (Österreich) nun erstmals umfassend belegen, dass bereits die Menschen der Bronze- und Eisenzeit im 2. und 1. Jahrtausend vor Christus ihre Heimatlandschaft durch extensiven Bergbau und weiträumige Brandrodung derartig stark veränderten, dass sie dafür am Ende einen hohen Preis zahlen mussten. Carved into the rock of the tufa plateau --a sedimentary area that is a result of volcanic activity -- on which the city stands, the subterranean structures were largely filled. Only the top-most modern layer was visible. "Within this upper section, which had been modified in modern times and was used as a wine cellar, we noticed a series of ancient stairs carved into the wall. They were clearly of Etruscan construction," David B. George of the Department of Classics at Saint Anselm, told Discovery News. Finds from early stone age site in north-central Germany show that human ingenuity is nothing new - and was probably shared by now-extinct species of humans. 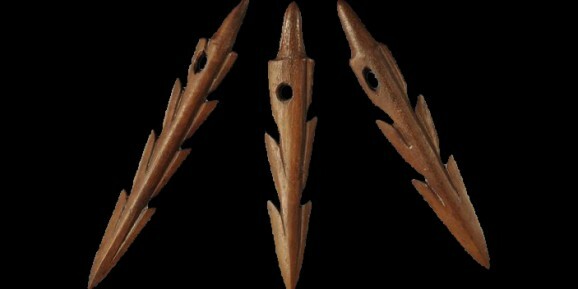 Archaeologists from the University of Tübingen have found eight extremely well-preserved spears -- an astonishing 300,000 years old, making them the oldest known weapons anywhere. 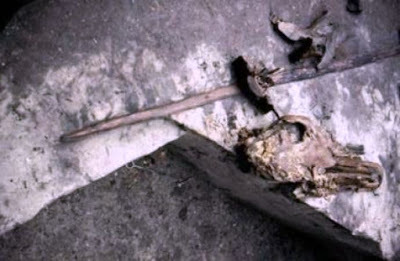 The spears and other artifacts as well as animal remains found at the site demonstrate that their users were highly skilled craftsmen and hunters, well adapted to their environment - with a capacity for abstract thought and complex planning comparable to our own. It is likely that they were members of the species Homo heidelbergensis, although no human remains have yet been found at the site. 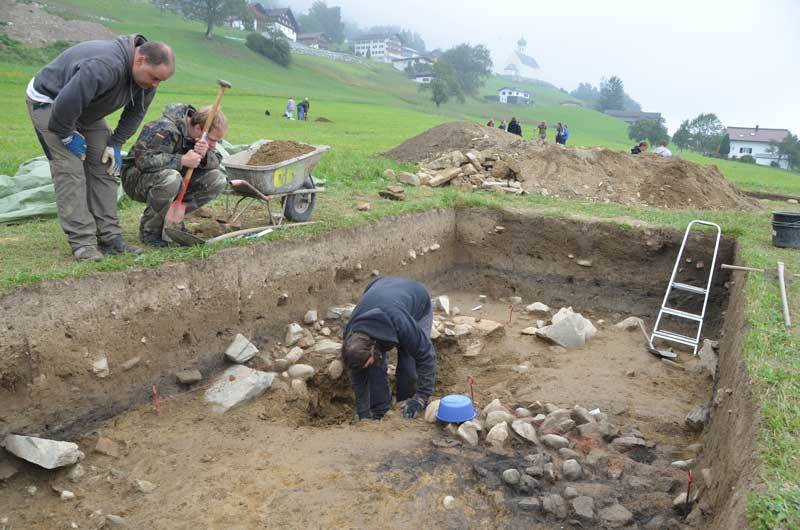 The project is headed by Prof. Nicholas Conard and the excavations are supervised by Dr. Jordi Serangeli, both from the University of Tübingen's Institute of Prehistory, which has been supporting the local authority's excavation in an open-cast brown coal mine in Schöningen since 2008. They are applying skills from several disciplines at this uniquely well-preserved site find out more about how humans lived in the environment of 300,000 years ago. 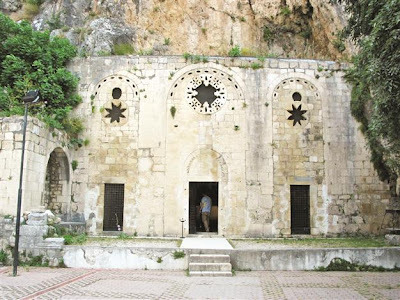 The Church of St. Peter in the eastern province of Hatay, which is considered the world’s first cave church and a holy site for the Orthodox Christian world, is now undergoing a comprehensive restoration process that began on Sept. 16 with a ceremony. Hatay has been home to many civilizations and faiths throughout history, and the mission of the local government is to present their artifacts to the world, Justice Minister Sadullah Ergin said, speaking at the ceremony. “We have been working on the details [of the restoration] for a long time. The most important part of this process was the project’s preparation. The Council of Monuments has been very careful in planning the project, to maintain the original form of the church, and has not approved any projects here for a long time. During the restoration, all of the artificial elements you see here will be removed. Environmental arrangements are also important, including parking and social facilities,” Ergin said. Experts have been able to shine some light on the most recent wall markings found in the historic Wemyss Caves. The 12-strong cave grouping at East Wemyss – the biggest in northern Europe – contains more carvings than all other in Britain put together, with many of Pictish origin. Enthusiasts were inspired last month by the discovery of yet more symbols which, it was suspected, may date from the 12th century. 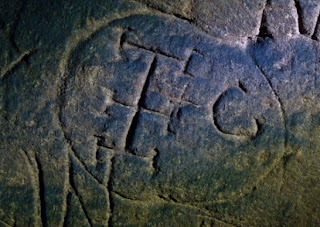 Save Wemyss Ancient Caves Society (SWACS) thought the most recent discoveries may be Templar in origin and called in some archaeological experts to assess them. 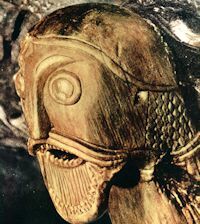 The designs were found in the Well Cave, below McDuff Castle – which was previously not thought to contain Pictish emblems. A skeleton dug up from an excavation site at the Saint Ursula convent in Florence, Italy, does not belong to Mona Lisa. Archaeologists who found the remains in July, earlier thought it to be of Lisa Gherardini. She was widely deemed to be the subject of the painting Mona Lisa by Leonardo da Vinci. Now archaeologists have clarified that they dug up the wrong body. "The ledgers kept by the nuns of this convent tell us that, presumably, the remains exhumed today are those of Maria Del Riccio, a wealthy woman who (died) in 1609," lead archaeologist Silvano Vinceti told the media at a press conference. Lisa Gherardini was the wife of a rich silk merchant of Florence. She is believed to have died in 1542 and was buried at a Florentine convent. Vinceti's team has so far found skeletal remains of four female bodies, including Ricco's, at the convent. Archaeologists are searching the grounds of a police headquarters for historic evidence of the Battle of Bannockburn and a Roman road. Experts believe they are located at Central Scotland Police headquarters in Randolphfield, Stirling. 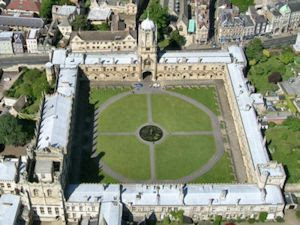 Archaeologists from Stirling Council believe the land is of historical importance. 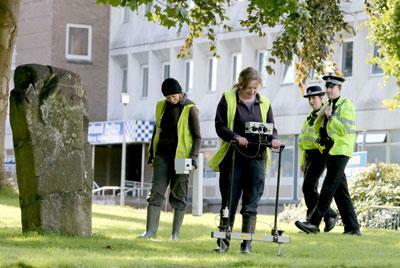 A geophysical survey is being carried out over an area surrounding two standing stones in front of the building. The stones are said to commemorate or may have been used in a skirmish during the Battle of Bannockburn in 1314. Thomas Randolph, the Earl of Moray, led 500 Scottish horsemen into battle against a troop of English cavalry, under the command of Sir Robert Clifford. The skirmish was won by Randolph and the area, Randolphfield, was named after him. A medieval ship discovered on the banks of the River Usk in Newport in 2002 may have come from the Basque country in Spain. The vessel has been called the world's best example of a 15th Century ship by archaeologists. And new evidence has found that the timbers from the ship have been matched to projects built in the Basque region. 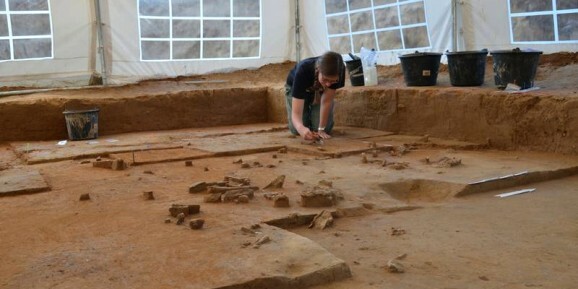 It includes new data from medieval buildings in the Araba and Navarra areas of Spain. "The mystery of the origins of the Newport Ship, the remains of the a remarkably well-preserved medieval ship may at last have been solved," said Nigel Nayling, associate professor at University of Wales Trinity Saint David. 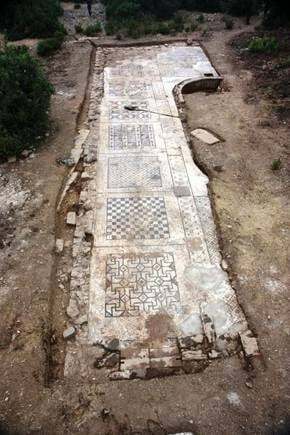 Bone-bothering boffins have uncovered a massive Roman mosaic in southern Turkey, proving that the ancient Empire's influence reached far into the area. The humungous mosaic, uncovered by a farmer in his field next to a still-standing bathing structure, is 1,600 square feet of meticulously crafted workmanship. It was built at the height of the Roman Empire's power in the third and fourth centuries AD. "This region is not well understood in terms of history and archaeology," says University of Nebraska-Lincoln prof Michael Hoff. "It's not a place in which archaeologists have spent a lot of time, so everything we find adds more evidence to our understanding of this area of the Roman Empire. Leeds City Museum has launched an ‘interactive treasure trail’ to encourage budding Indiana Jones’s to embark on a city-wide hunt for precious artefacts. Eschewing yellowed maps and spades for social media the hi-tech search has been devised by SEO and digital agency Branded3 and will see users embark on a timed race to collect codewords for six artefacts. This trail commences from the Treasured! microsite where the first clue directs people to the first piece of treasure, which itself contains the next codeword piece of the puzzle. Institute of Archaeology, University of Groningen (Netherlands), 30th November and 1st December. We will also be joined by our Flemish colleagues. The conference covers two themes, Managing Data Quality and Z - The Third Spatial Dimension. There are still a few opportunities for speakers on these themes and so we invite you to submit proposals using the form at the bottom of this page. The language of the meeting will be English. Karen Ladniuk of the Richard III Society cleans a path made from reused medieval tiles during an excavation. 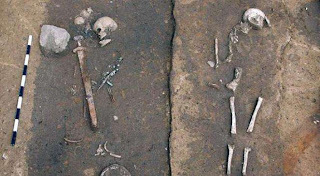 The discovery under a parking lot of a battle-scarred skeleton may restore the reputation of arguably Britain's most maligned king and lead to a royal burial five centuries late. "There has been a lot of debate on almost every aspect of Richard III's life, appearance, personality and death," said historian John Ashdown Hill, whose book, "The Last Days of Richard III," explores the final 150 days of the king's life before he was killed in the Battle of Bosworth Field in 1485. "The remains won't clarify everything, but they will be part of the process of getting back to original, authentic, documentary evidence rather than being misled by the propaganda that spread after his death," he said. This Friday, the British Museum’s galleries become the stage for exploring Shakespeare’s London. Enjoy Shakespeare’s lyrics in song, immerse yourself in courtly ritual, discover the gory secrets of stage make-up first-hand and much more. In collaboration with the RSC. Continuing the late night Shakespearian theme, this Tuesday, 25 September, the Museum will be hosting an open air screening of Shakespeare’s Julius Caesar. Tickets are free but must be booked in advance, so book now to avoid disappointment. An Illuminations/RSC production for the BBC. Our evolutionary cousins the Neanderthals were harvesting feathers from birds in order to use them as personal ornaments, a study suggests. 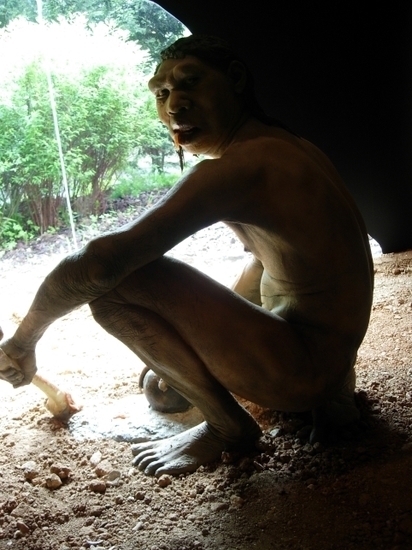 The authors say the result provides yet more evidence that Neanderthal thinking ability was similar to our own. The analysis even suggests they had a preference for dark feathers, which they selected from birds of prey and corvids - such as ravens and rooks. 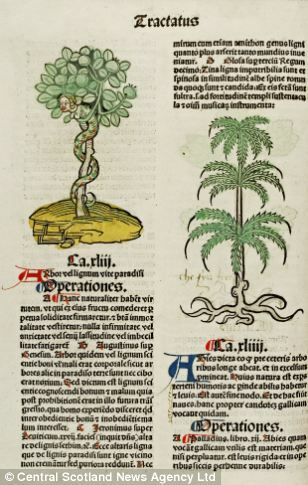 Details of the research appear in Plos One journal. A Tory MP has called for a full state funeral for King Richard III, if remains discovered beneath a car park prove to be those of the medieval monarch. Chris Skidmore, MP for Kingswood and the author of a book about the king's bloody final battle, said he hoped DNA tests would show the skeleton found in Leicester was that of the Plantagenet ruler. 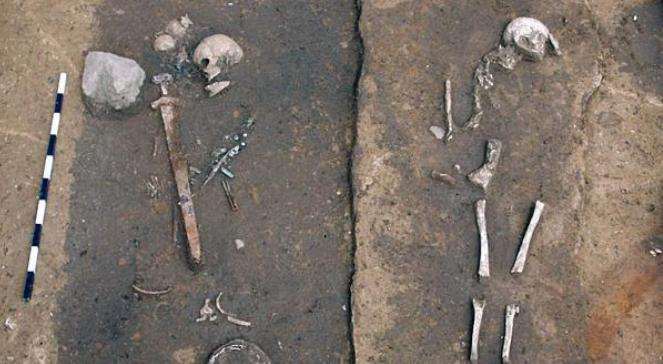 The skeleton, with a metal arrow in its back and severe trauma to the skull, was exhumed from a car park behind council offices in Leicester last week during an archaeological dig. The restoration of the Cutty Sark has been described as "damaging" by a national heritage group. The criticism was made as the famous Greenwich clipper was awarded the Carbuncle Cup by a building design website. However, the Cutty Sark Trust has said visitors have been "blown away" by the restoration. The ship reopened to the public in April after a £50m refit following a devastating fire in 2007. The Victorian Society's new director Chris Costelloe claimed the restoration pandered to the "corporate hospitality market". Archaeologists searching for the grave of Richard III have said human remains found in Leicester show similarities to the king's portrayal in records. The English king died at the battle of Bosworth in 1485. Archaeologists began a dig searching for his last resting place on 25 August under a car park in Leicester. The remains found show signs of spinal abnormalities and a "cleaved-in skull" that suggest it could be Richard III, the University of Leicester team said. A university spokesperson said "strong circumstantial evidence" including signs of a peri-mortem (near-death) trauma to the skull and abnormalities on the spine - severe scoliosis - were found after an initial examination of the skeleton. This shows Karen Ladniuk (Richard III Society) cleaning a path made from re-used medieval tiles, perhaps part of the formal gardens of the 17th century Herrick mansion where a pillar marking the burial place of Richard III is said to have been set up. The University of Leicester is announcing that the archaeological dig at Greyfriars will continue for a third week as archaeologists get 'tantalisingly close' in their search for King Richard III. Now, Leicester City Mayor Peter Soulsby has authorised the work to continue for at least another week following the success of the dig so far and the huge level of interest in it. Harewood House has been harbouring a secret for 200 years. MATT CLARK meets the man who revealed it. CLIMBING steeply towards Harewood, you notice a ruined castle, nestling among trees behind a Yorkshire stone wall. The family seat before Edwin Lascelles built one of the finest country houses in England surely? Not exactly. Lascelles bought the estate in 1739 and with it came a large medieval manor house called Gawthorpe Hall. But for a family that had made its fortune in the colonies it was considered too dowdy. The influence of the Vikings who came to Britain can still be heard more than 1,000 years later in the English language. They didn't just loot and leave, at the end of the 9th Century there were large settlements of Scandinavians throughout the country. Dr Richard Dance, of Cambridge University, tells Neil Oliver the words and places whose origins can be traced back to the Vikings. A recently discovered 500-year-old Alaskan settlement is rapidly disappearing into the Bering Sea. The exquisitely preserved frozen site provides a spectacular insight into the Yup'ik Eskimo culture. Researchers from the University of Aberdeen are using isotope analyses on recovered Eskimo hair to investigate how humans adapted to rapid climate change in the Arctic village. The research was discussed at the British Science Festival. The Yup'ik culture was one of the last contacted Eskimo societies, but prevailed over an area three times the size of Scotland. The Saga of Egil Skallagrimsson tells the story of a tenth-century Viking warrior who took part in raids in Europe and often fought with his own neighbours in Iceland. When his life’s story was written in the thirteenth-century, was the author using him as an example of the type of man that society had to worry about? 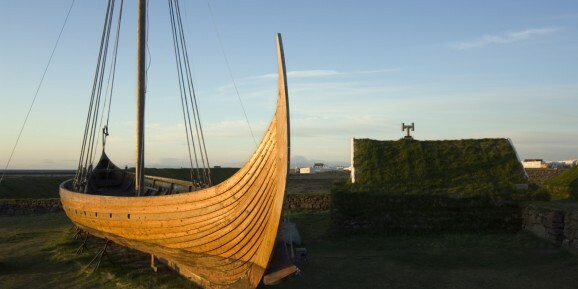 Tarrin Wills, a researcher from the University of Aberdeen, believes that Viking societies themselves were deeply concerned about these violent and unpredictable individuals – so much so that they took on the role of early criminal profilers – drafting descriptions of the most likely trouble-makers. Wills presented his research yesterday to the British Science Festival, one of Europe’s largest science festivals. It is being held this year in Aberdeen and is expecting to attract over 50,000 people for its talks, discussions and workshops. 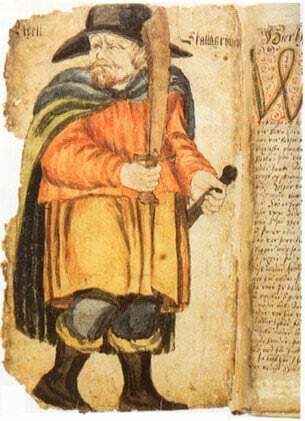 After examining the Icelandic sagas, Wills believes that its authors pinpointed physical characteristics of high testosterone levels – known to cause violent behaviour – creating some of the earliest ‘criminal mugshots’. An ancient ceremonial site the size of Stonehenge has been discovered on the North Downs. The exact purpose of the site - a neolithic “henge” near Hollingbourne - remains shrouded in mystery, but a large amount of burnt bone and pottery uncovered suggest it was used in a ritual capacity for almost 2000 years, as far back as 2500BC, the end of the Stone Age. Dr Paul Wilkinson (pictured below) of the Kent Archaeological Field School, which led the investigation, said the first tantalising clue had come in the form of a circular mark spotted in satellite images of a tract of land called The Holmsdale, near the Pilgrims Way. Digging began last month and has revealed a 50 metre wide henge - a large earthwork consisting of a circular area surrounded by a ditch and a perimeter bank - which has horn shaped entrances to the east and west. A Roman cavalry helmet bought for £2.2m at auction after it was discovered in a Cumbrian field is to go on public display for the first time. 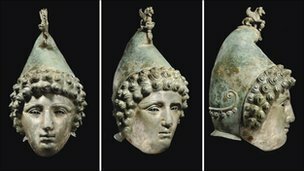 The Crosby Garrett Helmet, named after the village near where it was found, is to feature as part of a Royal Academy show called Bronze. A private collector outbid a Carlisle museum at the auction in 2010. Bronze co-curator David Ekserdjian said the helmet, which is almost 2,000 years old, was a "masterpiece". He said: "Even if this helmet had been known about for as long as anybody can remember, we'd still want it in the show because it's a fantastic work of art. We think of Vikings as highly aggressive raiders who ravished Europe in the Early Middle Ages but how could these men be controlled when they returned to their homeland after plundering other countries? 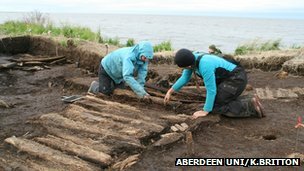 A researcher from the University of Aberdeen, who presented today at the British Science Festival, suggested this is a problem Viking societies themselves were deeply concerned about – so much so that they took on the role of early criminal profilers – drafting descriptions of the most likely trouble-makers. Dr Tarrin Wills, from the Centre for Scandinavian Studies, has examined early Icelandic literature and discovered that its authors pinpointed physical characteristics of high testosterone levels – known to cause violent behaviour – creating some of the earliest ‘criminal mugshots’. Dr Wills, whose work is published in Viking and Medieval Scandinavia began investigating the link between Viking behaviour and levels of testosterone after reading an article about hormones and city traders. In a scientific first, chemical analysis of ancient Eskimo hair found in Western Alaska could reveal how people in the region lived through times of climate change over the last 1000 years. It’s hoped the findings by University of Aberdeen archaeologists could provide lessons on how modern societies could cope with climate change now and in the future. A team of experts from the institution – including Drs Rick Knecht, Charlotta Hillerdal and Kate Britton – returned this week from a three week dig near the modern Yup’ik Eskimo village of Quinhagak – the first large scale archaeological investigation into the prehistory of this region, which is three times the size of Scotland. 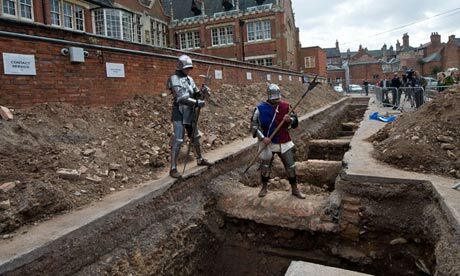 University of Leicester archaeologists have found the lost church where Richard III was buried over 500 years ago – under a City Council carpark. After his defeat at the Battle of Bosworth in 1485, the body of Britain’s last Plantagenet king was brought to Leicester where he was buried in a Franciscan friary. Known as the Church of the Grey Friars, the structure was demolished during the Dissolution of the Monasteries and its location forgotten. Last week University of Leicester Archaeological Services (ULAS) launched their hunt for the church – the first ever search for the lost grave of an anointed King of England – and today (5 September) announced that they have found the remains of a Medieval building which they are confident are part of the lost friary. Together with Medieval window tracery, glazed floor tile fragments, a fragment of stained glass window, and roof tiles that were only used on high-status buildings, the investigations have uncovered the floor of a passageway, which archaeologists believe might be part of the cloister, and a section of wall that could have belonged to the church. 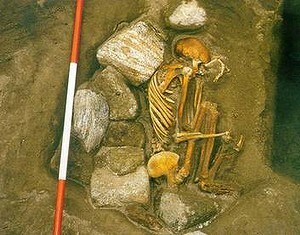 Early Cannibalism Tied to Territorial Defense? The earliest known instance of cannibalism among hominids occurred roughly 800,000 years ago. The victims, mainly children, may have been eaten as part of a strategy to defend territories against neighbors, researchers report online in the Journal of Human Evolution. The new study shows how anthropologists use the behavior of modern humans and primates to make inferences about what hominids did in the past—and demonstrates the limitations of such comparisons. 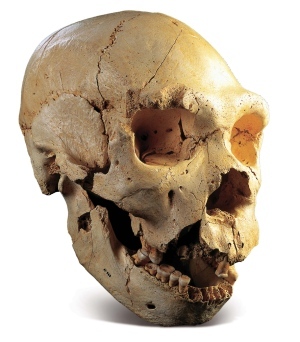 The cannibalism in question was discovered in the Gran Dolina cave site of Spain’s Atapuerca Mountains. Eudald Carbonell of the University of Rovira and Virgili in Spain and colleagues found evidence of butchering on bones belonging to Homo antecessor, a controversial species that lived in Europe as early as 1.2 million years ago. Because no other hominid species has been found in the region at the same time as the butchered bones, the victims must have been eaten by their own kind, the team concluded in 2010 in the journal Current Anthropology (PDF). 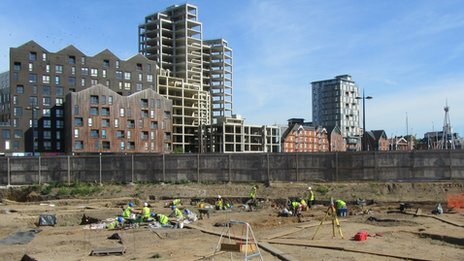 An archaeological dig at Ipswich waterfront has unearthed 300 skeletons and evidence of an old church. The excavation is taking place before 386 homes are built on Great Whip Street by Genesis Housing Association. It is believed the Saxons occupied the site in the 7th Century and burials are believed to have taken place there until the 16th Century. 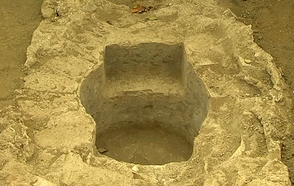 Rubbish pits were also uncovered during the dig, led by Oxford Archaeology and Pre-Construct Archaeology. Paul Murray, senior project officer with Oxford Archaeology, said: "A certain amount of historical research was done before we got here, so we had a general idea of what to find, but this has exceeded our expectations. The Romans have a reputation for being brilliant engineers and soldiers, but what isn't as well known is that they also gave us wonderful artistic treasures. The latest scientific techniques suggest that marble statues in the ancient world were not as monochromatic as we may imagine. Alastair Sooke looks at the Treu Head in the British Museum, an important and rare marble head from the mid-second century AD, which would have been painted to make her look "like a real person". 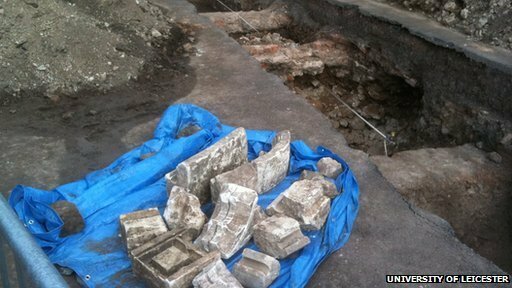 University of Leicester team confirms it has found medieval Grey Friars Church - the burial place of Richard III. Archaeologists from the University of Leicester who are leading the search for King Richard III have announced they have overcome the first significant hurdle of their investigation - and made a huge step forward in the search for the King by locating the church where he was buried.